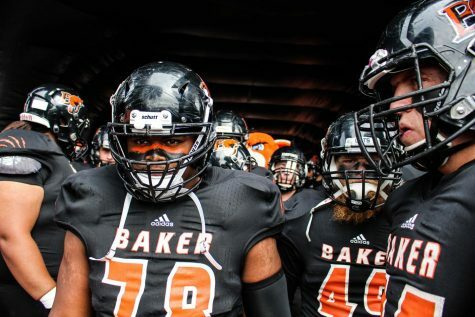 The journey for a college football player to become a pro is usually challenging, but three former Baker University players have accepted that challenge. Waiting for the phone call during the 2014 draft was a stressful experience for former Wildcats running back Dillon Baxter. It was not until after the draft that he got a phone call from the Seattle Seahawks inviting him to the rookie training camp. Baxter describes his experience with the Seahawks as “real quick.” Not just how long he was there, but practicing with the team itself. “It was a different tempo,” Baxter said. What could make him ideal for the NFL, Baxter said, is that he is versatile and able to play both running back and slot receiver. 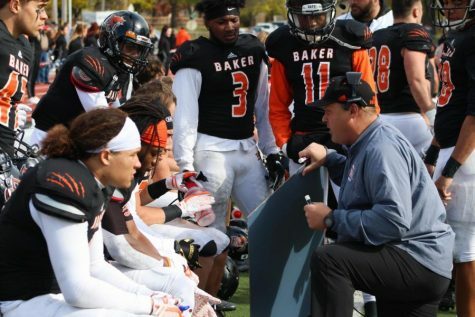 During his time at Baker, Baxter said that it was more than football that he learned. 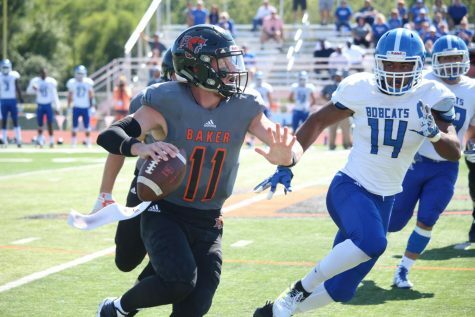 Baxter is now home in California waiting to see what will happen, running, working out and hoping to be given the chance to play at the next level. 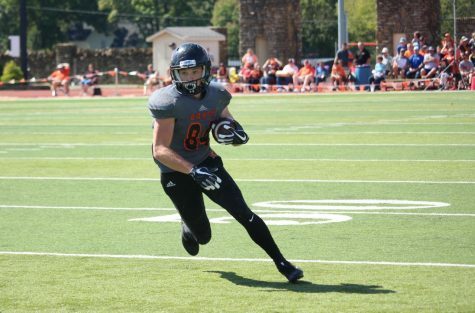 Joel Murphy is currently waiting in St. Louis for the phone call that could take him across the United States and back onto the football field. From May 15-18, Murphy attended the Carolina Panthers’ camp as a first step toward playing in the NFL. Although he is stuck in a waiting game, Murphy hasn’t given up hope. In order to even be invited to training camp, the coaches have to believe they see something in a player. 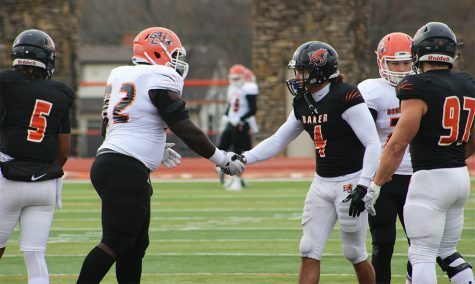 Murphy credits Baker University with a factor that makes him stand out from the crowd, his intelligence. 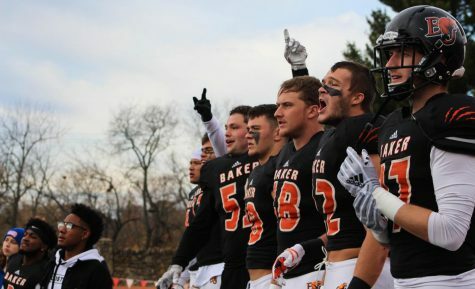 “The biggest benefit I got (from Baker) is I was a lot smarter,” Murphy said. Murphy graduated with a degree and is hoping to one day be an athletic director, but it was this work ethic that he believes made him different than the other players he worked out with in Carolina. ”We had to do the work, but it was also how fast you can learn the playbook and how much you can retain,” Murphy said. 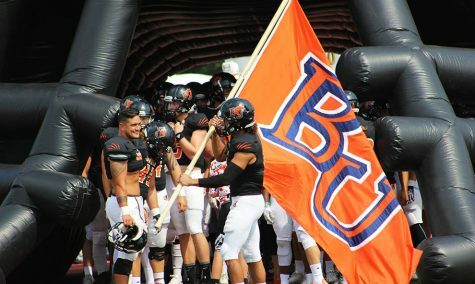 Murphy came to Baker University from a junior college where he played baseball and hadn’t played football since high school. He said that assistant coach Miguel Regalado and head coach Mike Grossner changed the game for him and molded him into the player that he is today. For now, Murphy plans on using his degree and continuing to work, but he will be ready. 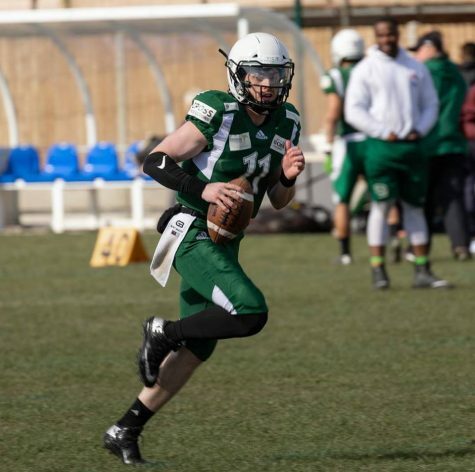 Kyle Bolton spent time at an NFL training camp with the Minnesota Vikings last year, and he is now on the roster in the Canadian Football League for the Winnipeg Blue Bombers. Bolton says that the difference between the NFL and the CFL isn’t just the field size, which is bigger and wider. While continuing stay in shape, Bolton worked out in front of the Winnipeg coaching staff, and they continued checking up on him. Bolton found out June 18 that he would be playing for them. “I was kind of expecting it, but I was surprised by how fast they got back to me,” Bolton said. Bolton said speed is his greatest strength, but another is his adaptability. 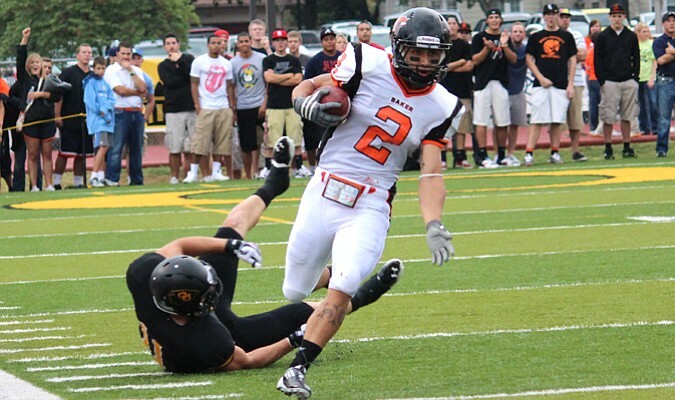 He is able to play a variety of positions and is training as a slot receiver, wide receiver, and running back. As far as the scenery in Canada … well, it’s a lot like Kansas. 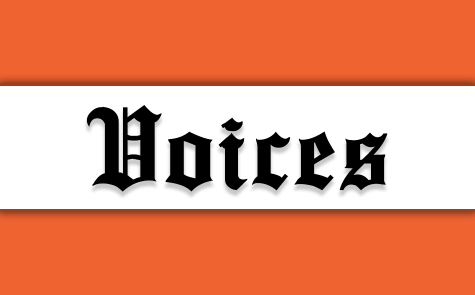 “Green, flat, lots of trees, and the weather is crazy,” Bolton said. The Blue Bombers’ first game of the season is on June 26 against the Toronto Argonauts.